It's been hard to miss on our website and social media: We went to WolfCoooooooon! WolfCon is a Teen Wolf convention, organized by the Con Factory. It's the 4th time WolfCon was being organized, but we attended for the second time. Last year, we had a great time! The guests last year were: Ian Bohen (Peter Hale), Charlie Carver (Ethan Steiner), Max Carver (Aiden Steiner), Ryan Kelley (Jordan Parrish), Gideon Emery (Deucalion), Casey Deidrick (Halwyn) and Froy Gutierrez (Nolan). This year, we were excited to attend Wolfcon as well. 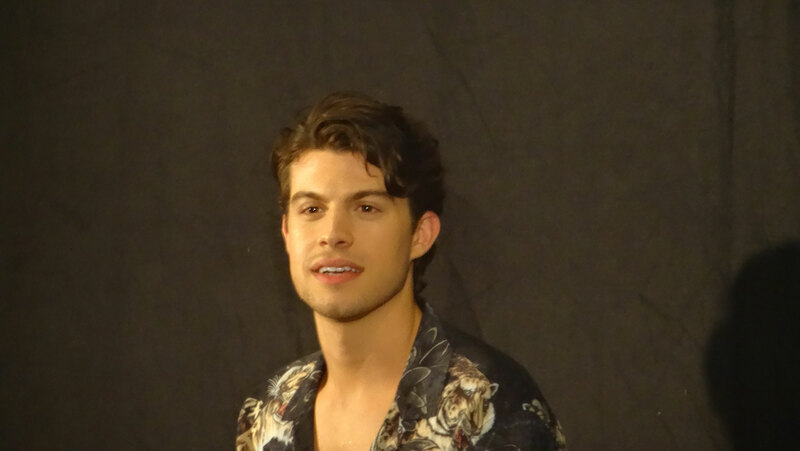 Especially when The Con Factory announced Adelaide Kane just two weeks before WolfCon The guests this year were: (like we said) Adelaide Kane (Cora Hale), Ryan Kelley (Jordan Parrish), Gage Golightly (Erica Reyes), Andrew Matarazzo (Gabe), Froy Gutierrez (Nolan) and Max Carver (Aiden Steiner). 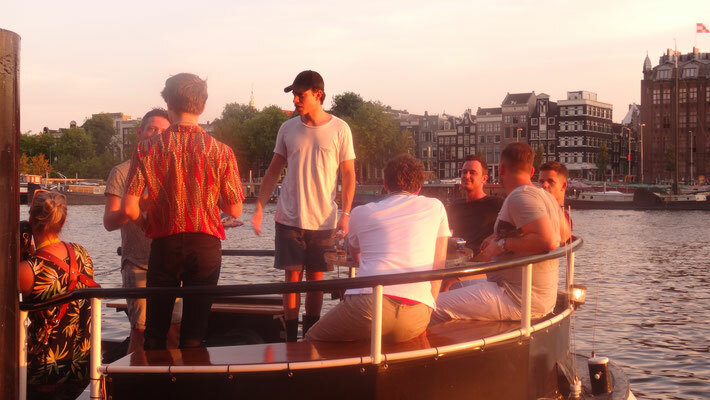 For us, WolfCon started with the boat trip this year! Ryan, Froy, Max & Andrew joined us just before we went on the boat, for a 1-hour canal cruise.When we were asked to attend this press event, of course we were very enthusiastic! And being on the boat was great. Everything was arranged very well: Information was shared on forehand. We knew where to go and what to do. 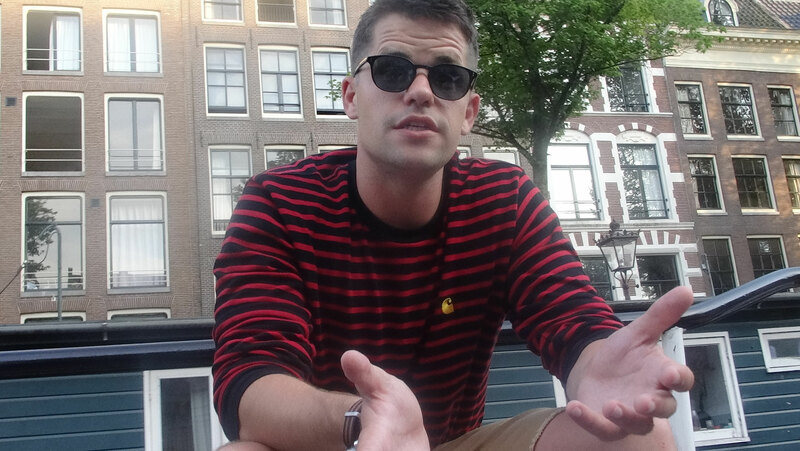 Besides the facts that such a trip on the canals of Amsterdam is wonderful, it was mainly great to do an interview with Ryan, Max and Andrew. They were great! We prepared quite a lot questions and they were all so kind to answer all of them. We loved having a chat and they were incredibly nice! 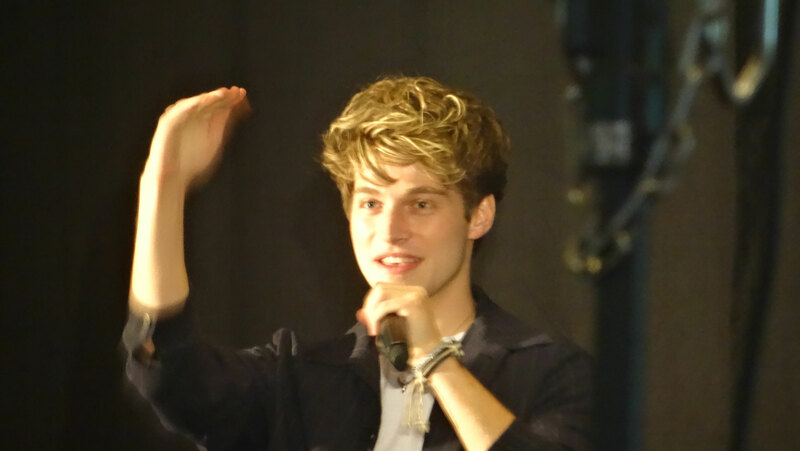 Unfortunately we did not have the time to do an interview with Froy, but hey who knows what the future will bring? For the people who haven't read our separate articles about the interviews, you can watch the videos below! Wolfcon took place in Amsterdam at the Park Plaza Hotel. Just like last year, Liv & I also stayed in the Park Plaza Hotel for the weekend! 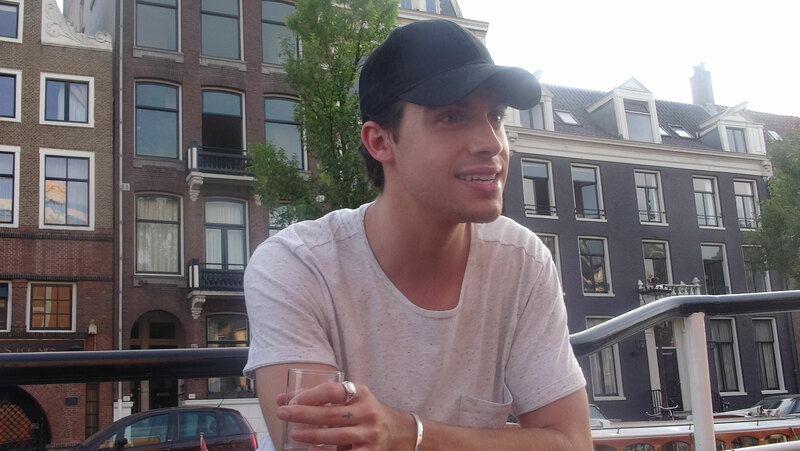 Friday after the boat trip, we went for some drinks in Amsterdam and then went back to the hotel. We already did our registration for Wolfcon on Friday afternoon, which went very fast for us. Because we were part of the boat trip, we were able to go for registration earlier on. On Saturday we started our day with a nice breakfast at the Park Plaza and then went on to the panel room. The panel room started with some announcements and rules. 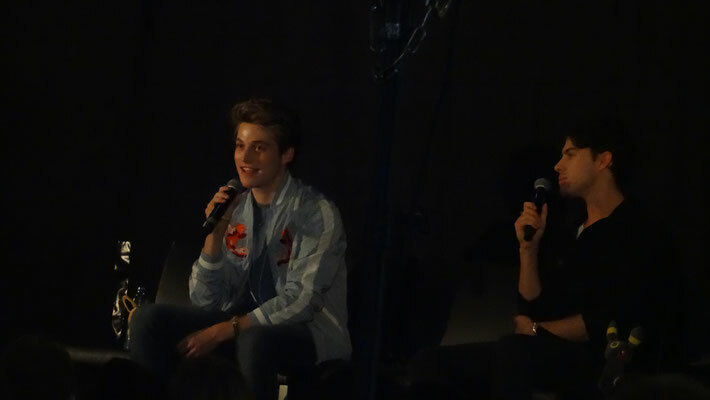 WolfCon was hosted by Dan Cardoso, just like last year (Interview with him is coming up soon). I thought the announcement was very good. They really emphasized the importance to take good care of yourself with the heat. We were allowed to drink water in the panel room and were motivated to eat enough (outside of the panel room) to stay healthy. It's really good that they care and do everything they can to make sure everyone feels well. So, that was a good start, even though it started a bit later than planned. The group panel began, with all the guests but Adelaide. Adelaide had been delayed because her flight got cancelled. This all was communicated very well. We heard about it immediately in the morning and were assured that they would do everything possible to get Adelaide to Amsterdam. We were updated several times throughout the day. (And she arrived at the end of day 1, yay!). The first day, we mainly watched some panels (I love panels) and had a few (long) breaks as well. During the breaks we went outside, to the hotel room, or enjoyed the karaoke, singing, dancing & raffles in the panel room. I liked the panels. As always, you could ask the actors questions and all the guests were very enthusiastic. We watched panels of Gage, Andrew & Froy, Andrew, Gage & Andrew and Max & Ryan. Gage's panel was very inspiring. Ryan and Max were incredibly funny! And Froy & Andrew did a great panel as well. 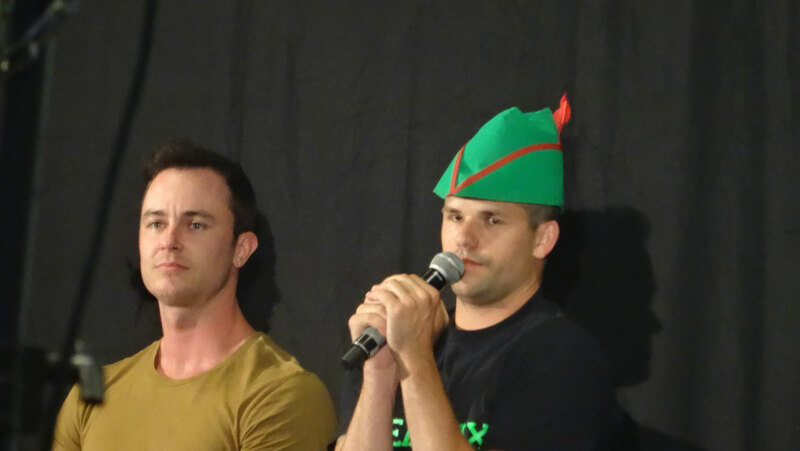 Andrew and Gage had a panel together as well and I nearly choked in a mint because of something Andrew said hahahaha. We had a lot of fun. In between the panels, the karaoke and raffles were nice as well. (Would be nice to add this to the planning specifically as well. Then everyone can think about the songs already. Or also add a quiz or something). During the last panel, Adelaide arrived. She walk towards the queue for questions, and asked 'Ryan do you still like blondes better'? She made a great entrance and everyone was so happy to see her! We were so happy to arrive as well. We will tell you all about her trip in a separate article about Adelaide! 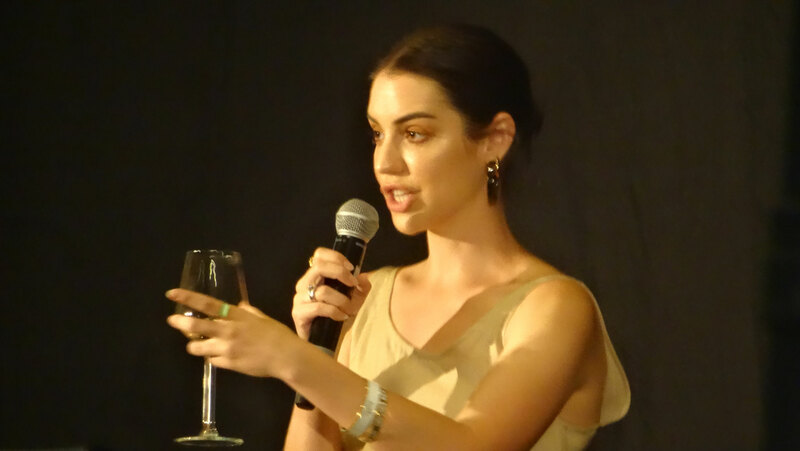 She was on stage for a few moments and then had to go: Some people only attended the con on Saturday and had a photo op or autograph with Adelaide. they could still do it! Our first day at Wolfcon was great again! We had a great time and a lot of fun. Sometimes the breaks or waiting time between panels was a bit long. But we always enjoyed ourselves. Everyone is very relaxed, you can see that's everyone is having a lot of fun! The actors gave everything they had and Dan kept everyone alive and happy between the panels. On Saturday evening we went to Schiphol to get some dinner and then went back to the hotel for some drinks. On Sunday morning, we were ready (but tired) for day 2 of WolfCon! After breakfast we headed to the panel room again. The day started with the group panel & fund raiser. This time, all of the actors joined the group panel! I loved seeing them all together. After that, it was time for the autographs and Liv went to get one from Gage Golightly. All the autographs took longer than expected, so Ryan's raffle started later than expected. But during the waiting a lot of songs were played in the panel room, which was really nice. And Liv and I had great neighbor in the panel room: Bianca. We had a lot of fun talking to her in between the panels as well. While waiting, we also approached the host, Dan Cardoso, for an interview. He was willing to participate immediately. Later that day, we had a photo op with Adelaide (yesssssss!!!) (We tell you about it in another article) and panels of Froy & Andrew, Gage and Adelaide. In between panels I tried to stay awake and alive by standing, walking and dancing a bit. When I jut sit down and look at my phone I tend to get so tired. So was just staying active haha! The panels were awesome, as expected. Gage inspired everyone again with sharing her amazing experiences and stories. Andrew & Froy are a great panel duo and Adelaide was awesome! Her panel was so entertaining and energetic. I loved it. She was on stage, singing "Wannabe" out loud. And kept dancing, singing and answering all the questions. Curious about our activities? Check out our photo and video overview (which drove Liv to madness, because a lot went wrong during the making of it). We had to leave a bit earlier due to our train trip home. We had to travel about 3,5 hours to get home. 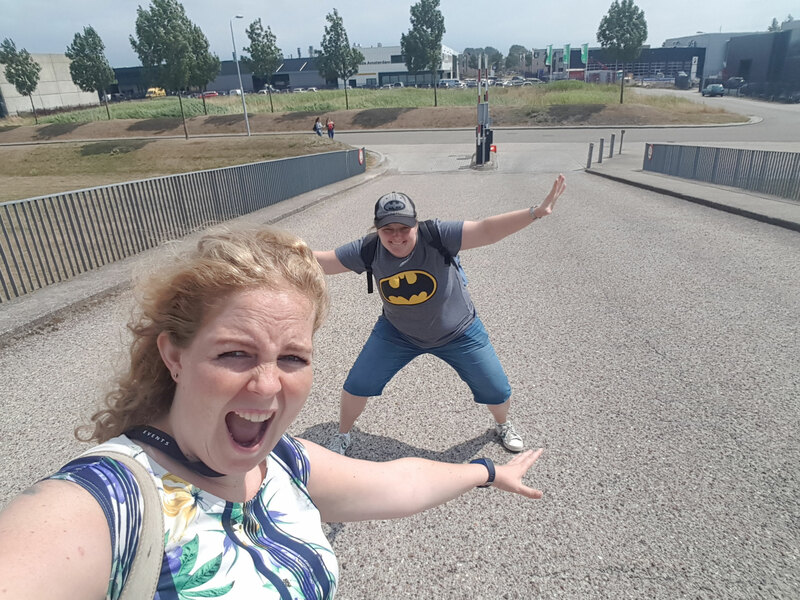 Looking back we really loved WolfCon! The boat trip was awesome and we are glad that we have been able to these awesome interviews and share it with you! We really enjoyed the event itself as well. There's an atmosphere there that's really unique. I love the dancing & singing in between panels as well. Though sometimes it felt like we waiting a bit long. The photo op went smooth. Information for clear for me. I really liked the way they handled Adelaide's delay. We were kept up to date and the communication was very transparent. I would have loved more general updates via the Twitter live account. (They told us they didn't have enough volunteers for that, so we knew not to rely on Twitter. But it's just nice if it's there). All of the actors were wonderful, kind & engaging. They all seemed to have fun and they really cared about the fans. 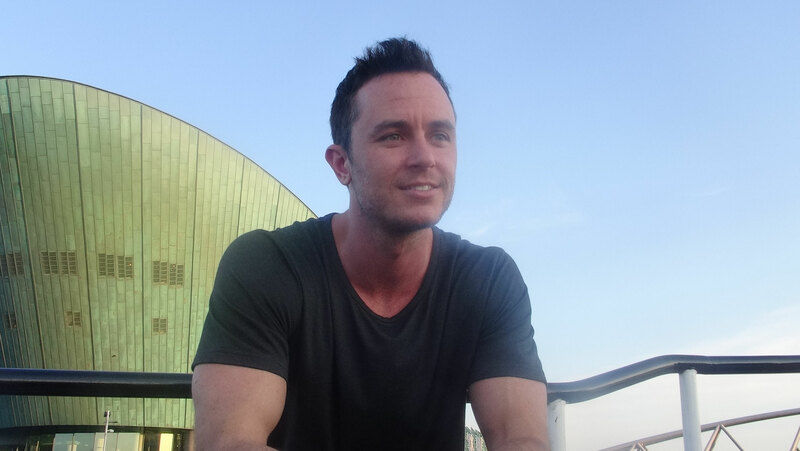 For fans of Teen Wolf, WolfCon is definitely a must go! You get a lot of panels & fun. And you'll probably make some new friends as well! On top of that, WolfCon offers the opportunity to buy any extras as well. From photo ops & autographs to parties & mystery meets. There are so many opportunities to engage with the actors. So... see you next year? 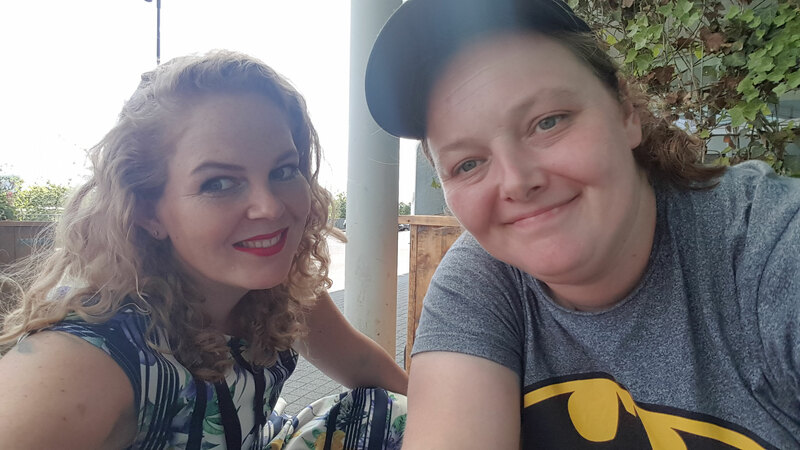 Want to read more about Wolfcon? Check out our Wolfcon 2018 page!